So far I have not been able to find a leopard Santa for the 2013 Christmas Season. Click here to view the last posting on my blog to see my Santa collection..........I'll keep looking............all the ones I've seen I have already! 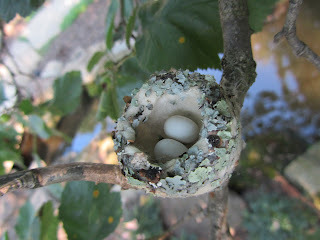 A good friend of mine was fortunate to have a "birds eye view" of a hummingbird nest in her back yard. We got some terrific photos. Enjoy them and a few facts. 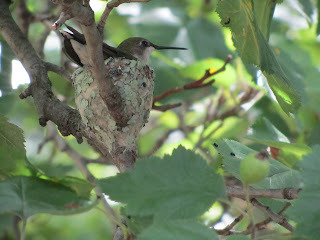 In general, the hummingbird nest building and the raising of the young is all done by the female Hummingbird. Hummingbirds do not use bird houses and they do not nest in cavities. They prefer to make their small cup-shaped nest in the fork of a tree branch. 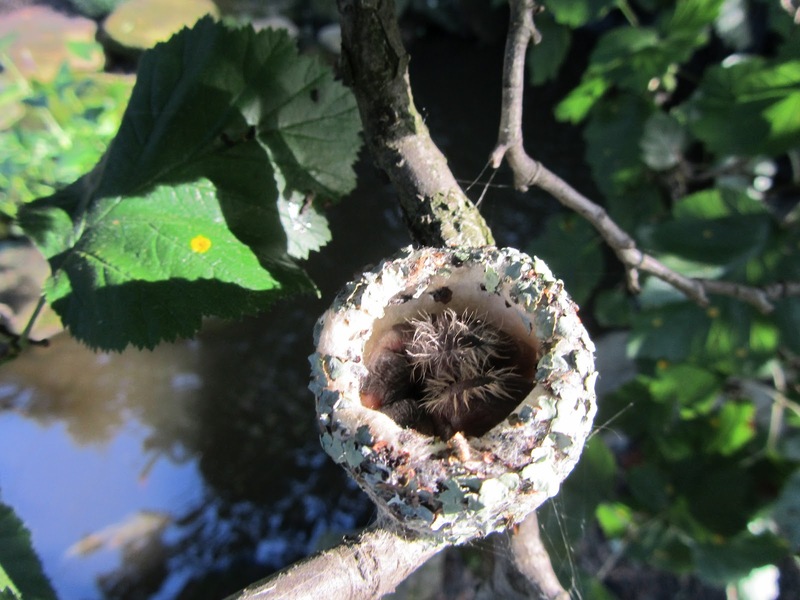 The hummingbird nest will be made out of downy-like plant material that's held together with spider webs.The female hummingbird will usually lay 2 eggs in the hummingbird nest, sometimes only 1. The hummingbird eggs will be laid on 2 different days, but will usually hatch on the same day because the female will not start incubating the the eggs until the second egg is laid. The humming bird eggs will be white and less than half an inch long, about the size of a small jelly bean or pea. 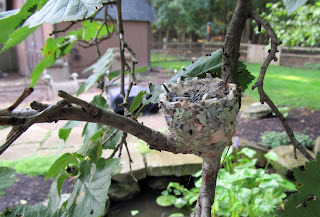 Once hatched, The female will feed them with a mixture of nectar and tiny insects and spiders, that she will collect in her crop and regurgitate the mixture into the mouths of the young. 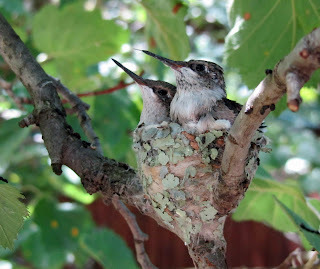 The insects and spiders will provide the protein that the baby hummingbirds need to grow.Because of their extremely high metabolism, hummingbirds will have to feed every 10 to 15 minutes, except at night when they go into a state of torpor to slow down heir metabolism so they can survive without eating until morning.........so there you go! I was contacted, on my Etsy shop, by Kristen, a bride to be. She was interested in pins for her and her bridal party. 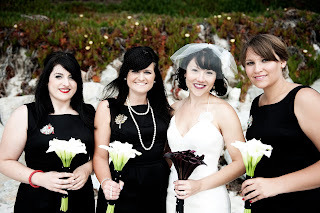 She had chosen very chic black retro style dresses for her bridesmaids. 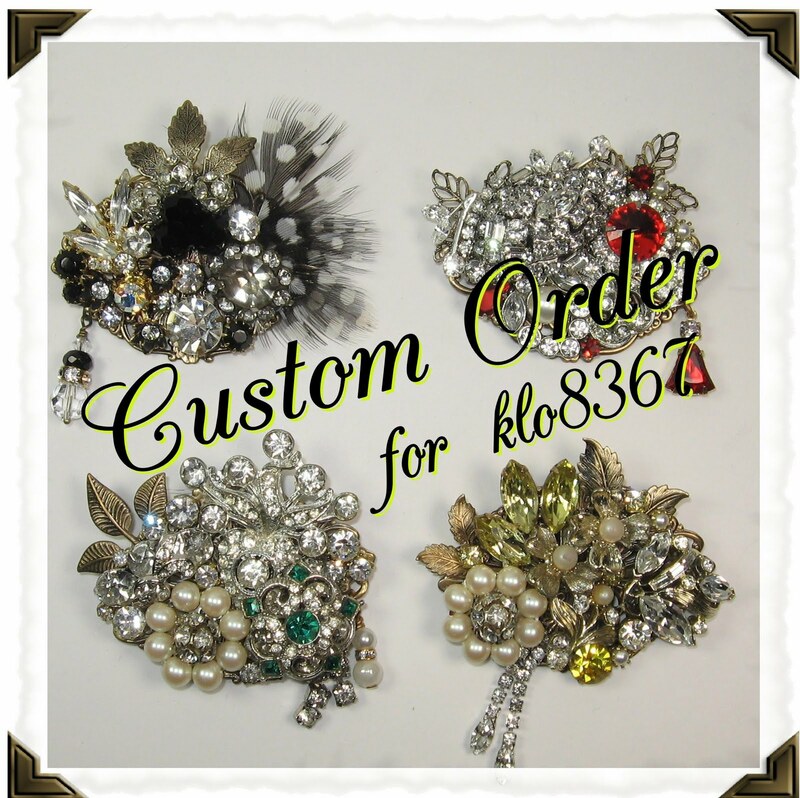 She wanted 3 custom brooches for her bridesmaids, incorporating each of their favorite colors mixed with crystal rhinestones and pearls for the individual girls. One with touch of emerald, another with a sprinkling of ruby red, and one with yellow gems. They would all be different but have a similar feel. Kristen was going to be married on the northern coast, which can be chilly, and had bought a terrific faux fur shawl on Etsy to go with her dress. 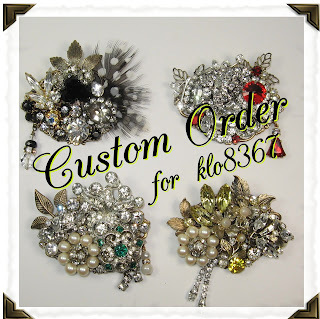 I had been working on a black, white and crystal brooch incorporating feathers. Once I showed it to Kristen she said it would be a perfect piece to pin on her shawl. I had to agree. Perfect! Once the wedding was over she'd be able to wear a piece from her wedding ensemble any time she wanted.. .... I just heard from the new bride. She had an amazing wedding and wanted to share with me wedding photos showing the vintage collage brooches I had created for her. 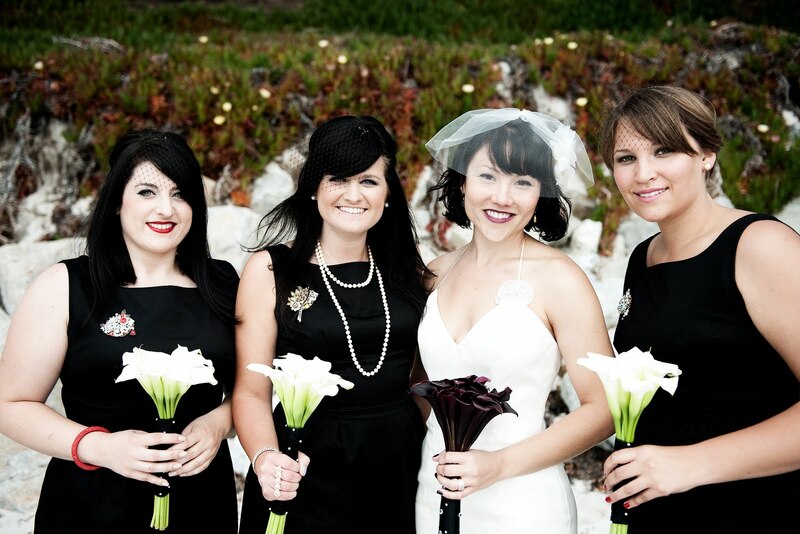 I was thrilled to get the images of the beautiful bride and her friends. They look marvelous and I'm so happy to be a small part of her special day. Kristen, I wish you and your husband a wonderful and happy life together. Enjoy! I have her permission to share these photos with you. Guess one of my favorite vintage tunes! It's been a wet winter without much snow.........we did get enough to play in the other day. We made odd formations using a bucket, colored water in a spray bottle, and iceicles off the roof. They got washed away the next day in the rain. I'm sure a few passers-by thought.........."now what is that woman doing?" 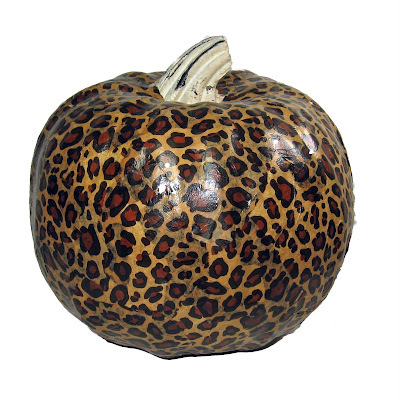 Last year a friend of mine saw a leopard pumpkin at Michael's craft store. She asked me if I had one..........I didn't........and I couldn't believe that I didn't. (You've seen my collection of leopard Santa's on this blog haven't you?) So....I made myself one. Everyone looks great in leopard prints! ....don't you think? I bought one of those pre-lit white pumpkins at a "to be un-named" big box discount store. The rest of the supplies I had at home. I realize that not everyone has leopard print tissue paper sitting around.........but I have lots of it! I had to dig through my drawer of craft supplies to find my Mod Podge. I kept my fingers crossed that it wasn't all dried up, and miracles of miracles it wasn't. I love Mod Podge by the way......I used it back in the late 60's. (No this wasn't my bottle from the 60's!) Now it comes in all kinds of varieties.........glossy,matte finish, outdoor, sparkle! I would have loved sparkle Mod Podge back then! Those were the days..........the original smiley face, peace signs, In-A-Godda-Da-Vida.........sorry.........took a psychedelic trip back in time for a second. 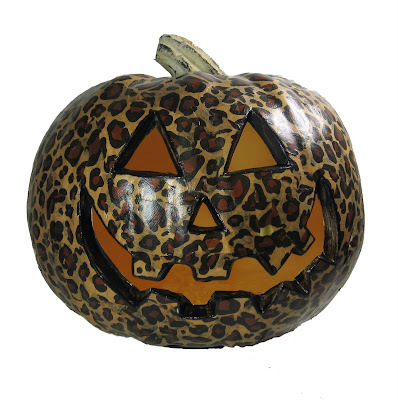 Okay, I ripped the leopard tissue paper into 1-2 inch pieces and slapped in on my pumpkin and brushed the podge on each piece, overlapping them until the whole pumpkin was covered. Once dry I applied another coat of Mod Podge to give him a nice finish. I outlined his pre-cut mouth, eyes and nose with a permanent marker to set off his mischievous grin. I think he looks terrific. I did a small black end table, and a cute vintage sewing box using the same technique. They are fun accent pieces. Go ahead.......find something and cover it with leopard print. It fits in with every decor. Really! If you don't have time to make one.......I have some for sale in my Etsy shop. CLICK HERE . I took my camera to watch the sun set. I saw this done once and just had to try it. Sunset over lake Erie. I tried to be inconspicuous as I took the picture of the sunset through the light bulb. Little did I know my BIL and his wife were also at the park watching the sunset and snapped a picture of me taking a picture! They wondered what the heck I was doing. You can recycle an old tire rim to hold your garden hose. Clean up the rim and spay paint it a color to coordinate with you home or garden. Mount it on a tree or fence. Hang your garden hose on it! 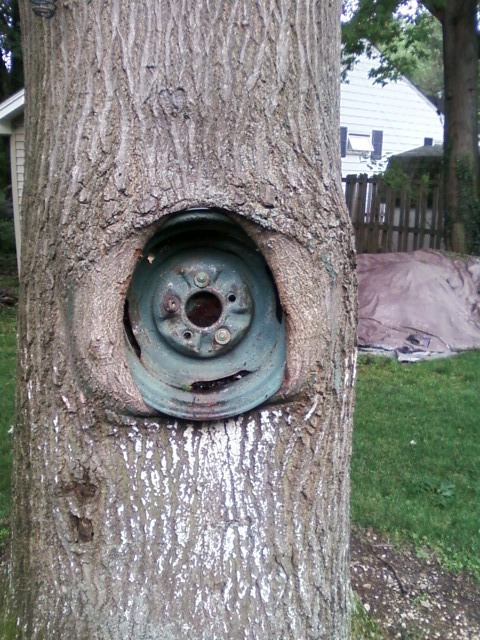 But.........if you hang it on a tree..............50 years from now it might look like this!. 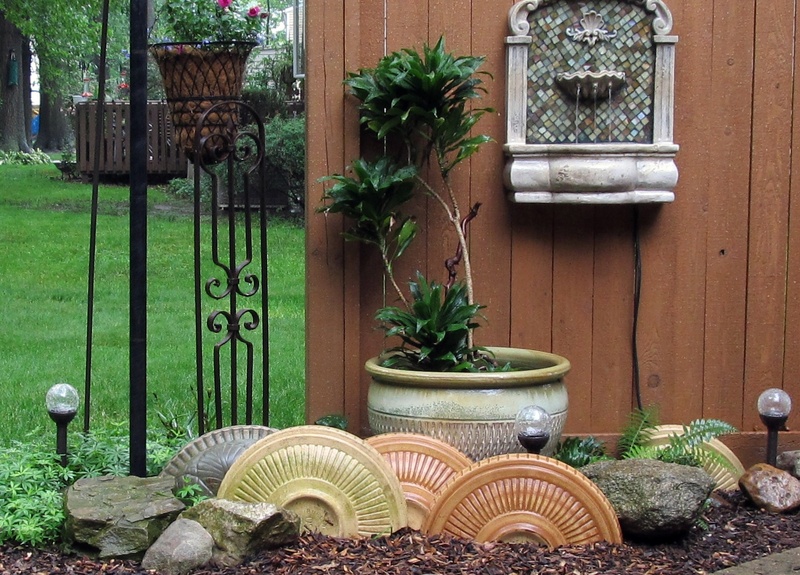 I can't tell you how many times the neighborhood squirrels have knocked over my pottery birdbaths and broken them............oh yes I can........I saved the pieces and made an outdoor vignette out of them! I have a few more scattered around the yard. 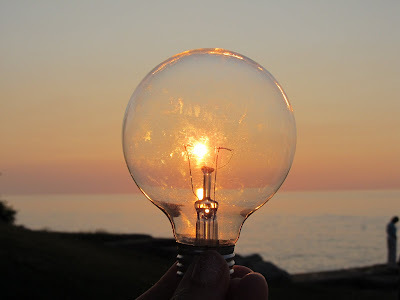 Recycle, upcycle....never throw anything away that may have another life. 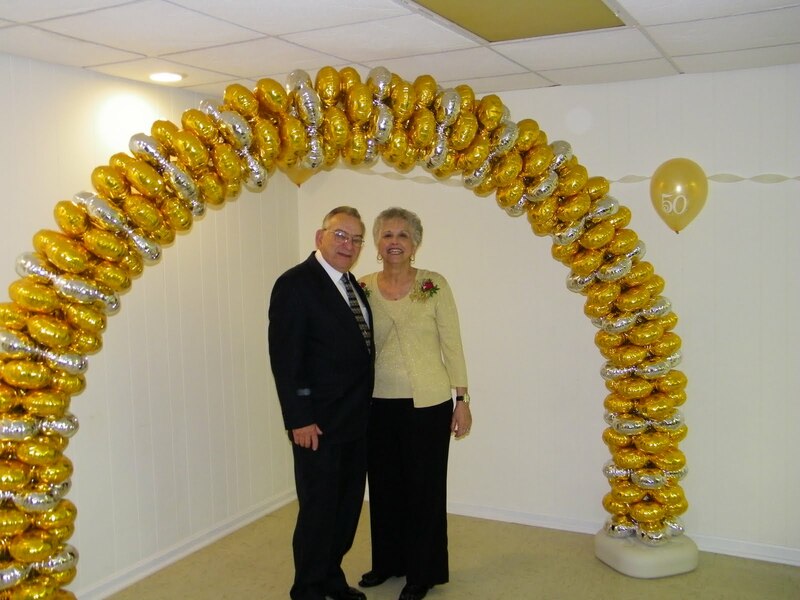 These Balloon Arch & Column Kits from Inflate & Create aren't vintage, but I'm going to ramble about them anyway because they are terrific! We've used them for Grand Openings, Anniversary Parties, Prom, Car sales, Weddings...you name it. They are easy to assemble and they look like you hired a balloon decorator. The kits are available for foil and latex balloons. 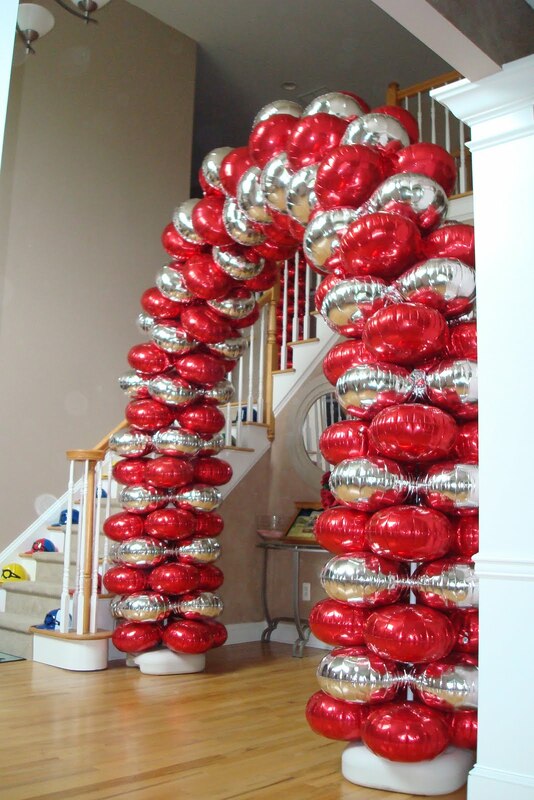 The foil balloon kits use foil cluster balloons and stay inflated for weeks. 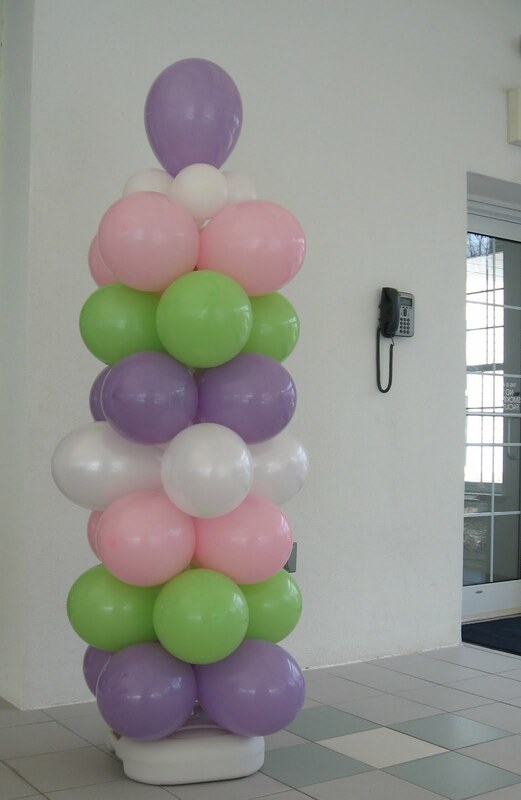 The latex kit use standard 11" balloons that are available in a variety of colors for your event. Check out Inflate & Create's web site. Balloons definitely add some fun to the party and bring attention to your business. Unique and Fun Vintage Finds for sale at Vintage Rerun! Thank you to Lazy T Crochet for creating this terrific treasury. It was featured on the front page of Etsy. Check out what my fellow Clevey's are creating! This is all I ask . . .
JLynnCreation's beachglass, beads and boys! I get terrific labels here! My favorite places in cyberspace! I give a big thanks to my friend and fellow Cleveland Handmade member for helping me figure out how to do this! Thank you SMASHING ! Please check out her shop on ETSY!